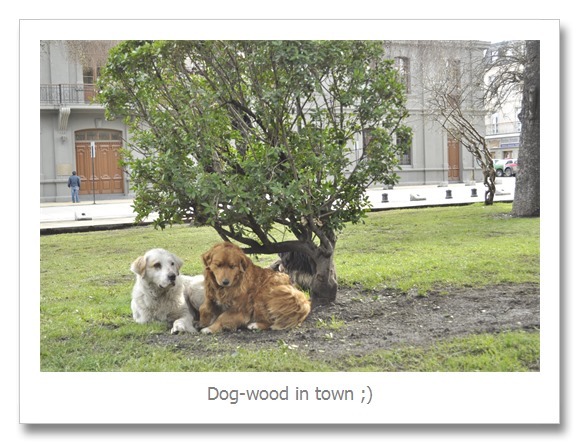 Hello from the port in Punta Arenas, Chile. 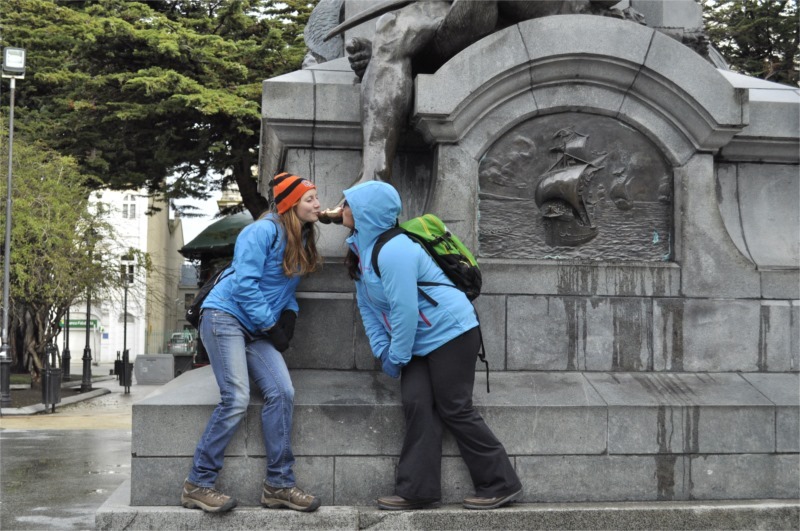 Punta Arenas is a great little port town in Chilean Patagonia. 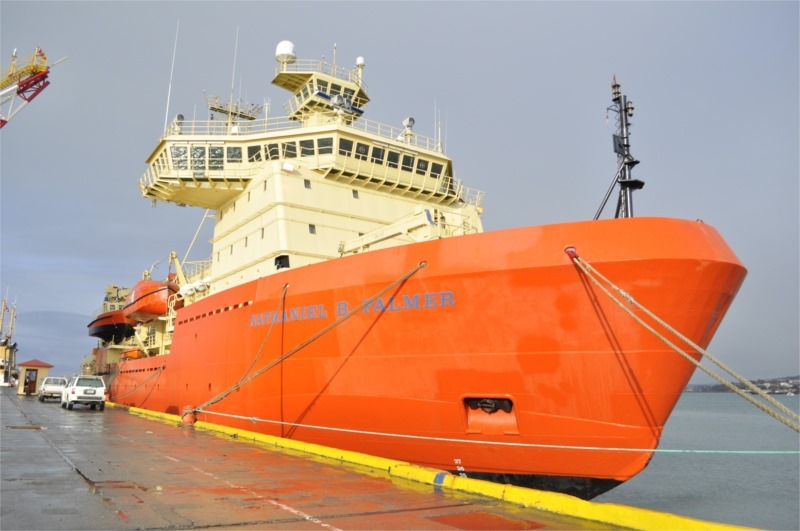 It is both an Antarctic Gateway port and a gateway port for the wilds of Chile. 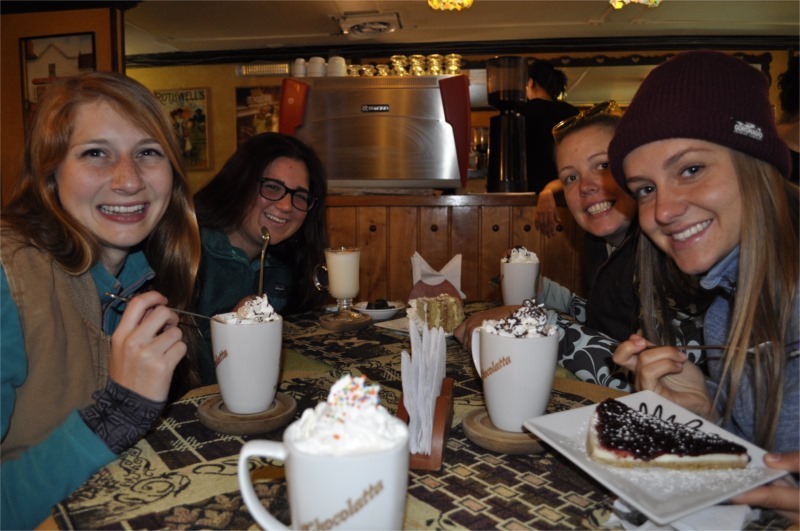 It is a fantastic tiny town filled with sporting goods shops, grocery stores, and a plethora of restaurants. 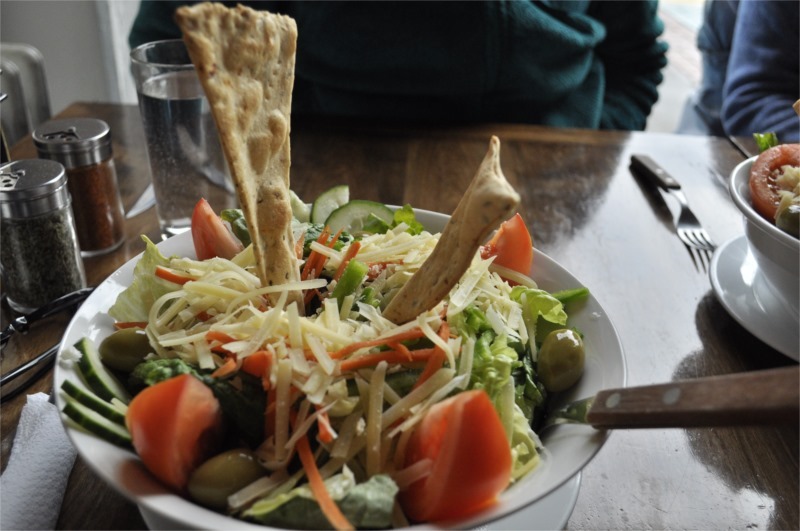 It is very important that we adventurers get to savor our last luxuries before setting out. 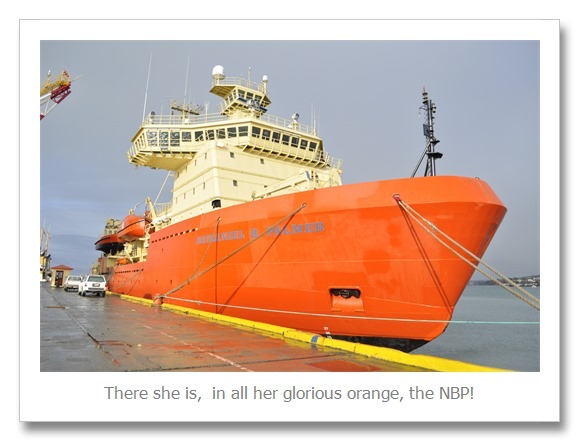 Today I officially moved onto the Research Vessel Ice Breaker (RVIB) Nathaniel B. Palmer (a.k.a the NBP, the Palmer, or the Natty Bee). 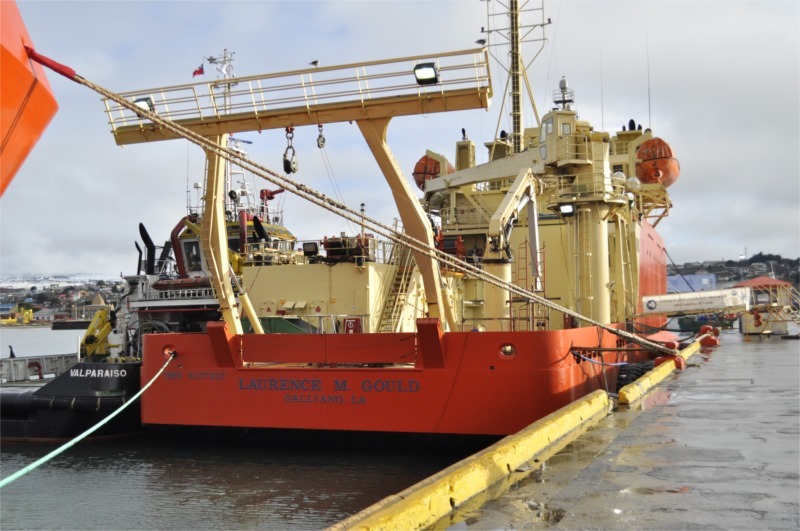 The Palmer’s little sister the RVIB Lawrence M. Gould (a.k.a. 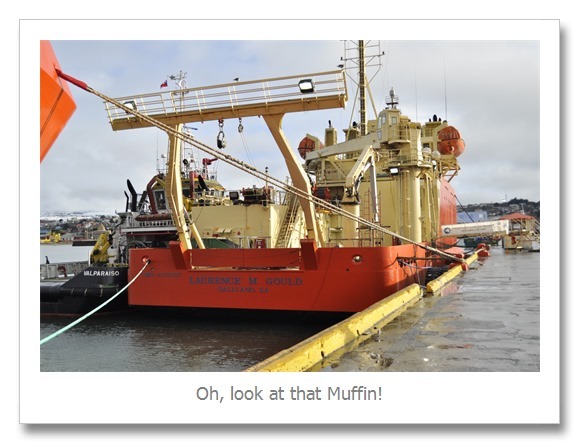 Larry Muffin, the Muffin, Fisher Prices’s my First Ice Breaker), is also in port. You may remember from an earlier year that the Larry Muffin is a bit of a precious boat. It had some serious design flaws that caused it to list 15 degrees when it was first launched. As a result it has permanent water wings and other stabilizers. You might notice the bulge of orange under the gangway, well that is one water wing. They keep the ship more stable, but man it is loud when waves smack into them. 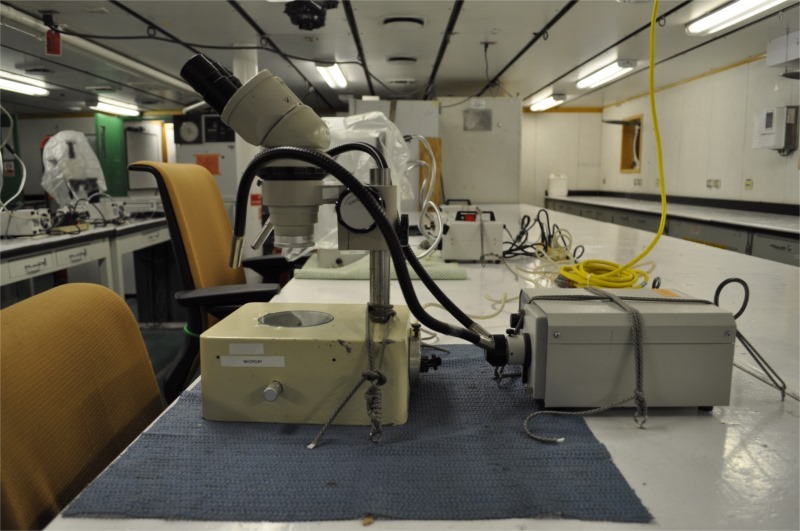 Today on the Palmer, the mission was to finalize setting up the zooplankton lab and secure all the equipment for crossing the Drake Passage. I was put in charge of tie downs, which basically meant that I directed and supervised while every one else tied stuff down. It was a great job. I may have also filled in where they missed stuff. 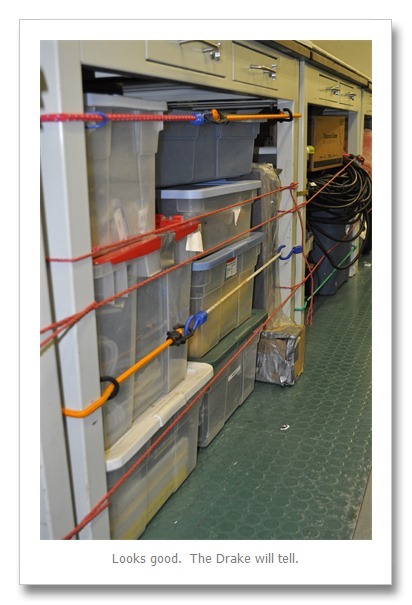 I am fairly confident that our stuff is secure for the crossing. 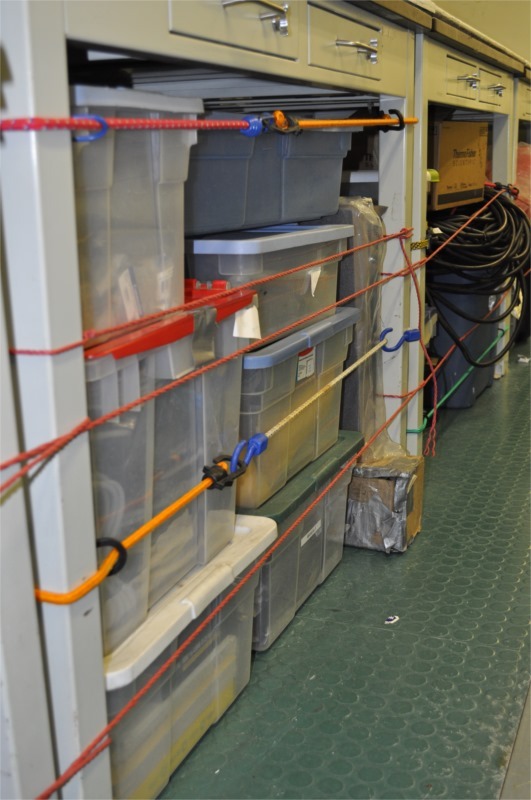 We used a ton of bungee cords and rope. 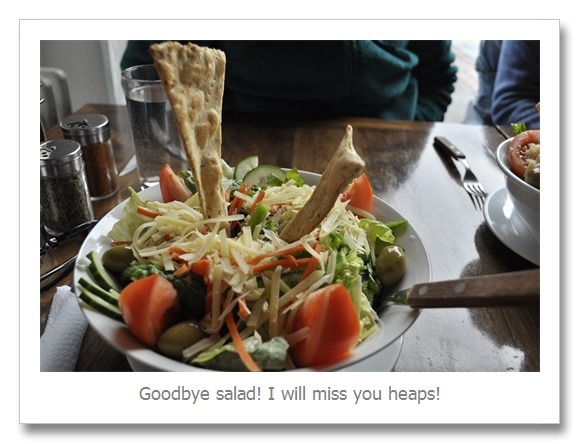 After that it was time to do our errands and say good bye to luxuries. I learned an odd fact about Chileans today. They use baking soda medicinally, so you have to get some from the pharmacist. The grocery stores do not stock it in the baking aisle and most pharmacies don’t stock it at all. Alas, without baking soda my stainless steel tea mug is going to get grungy. 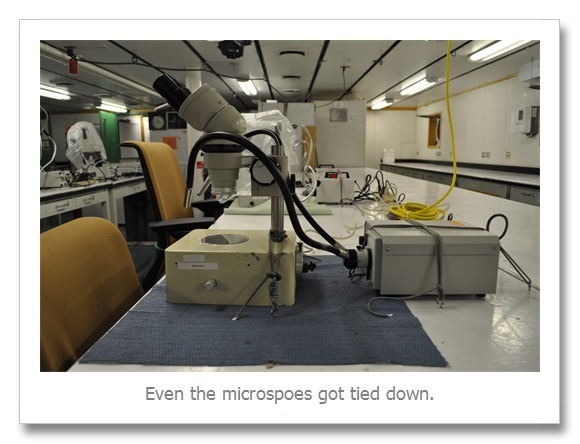 And of course I had to get to know the new members of the zooplankton team. 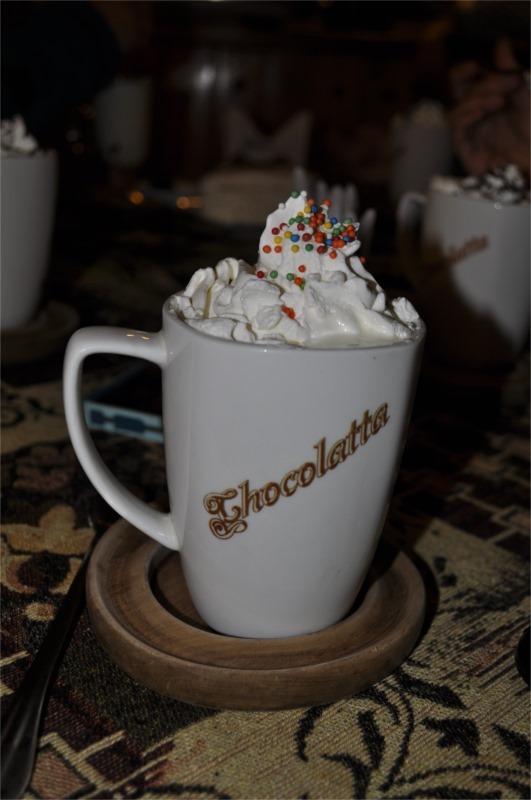 What better way than to go for hot chocolate? 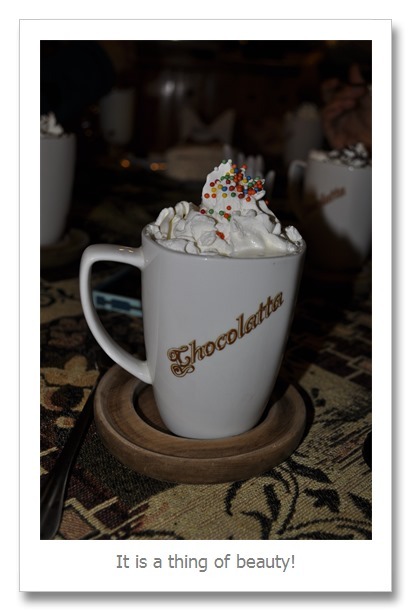 Memories of Chocolatta hot chocolate will keep me warm while I work the night shift in Antarctica. 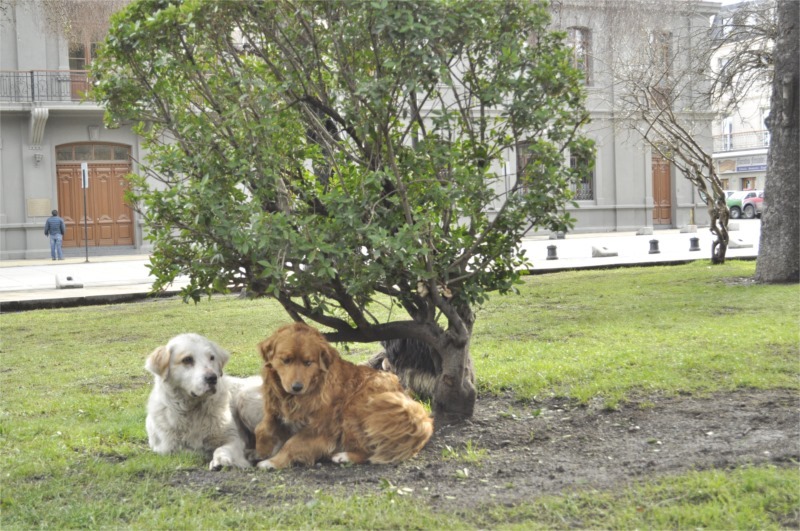 Punta Arenas has lots of friendly dogs. They all needed to be pet goodbye. I even recognized a few from last year. 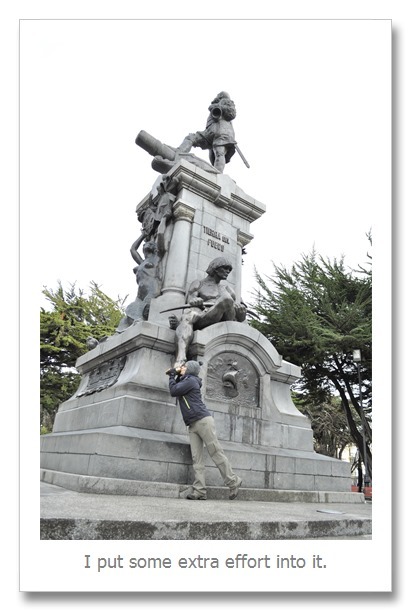 There is a famous statue in the square in the center of town. 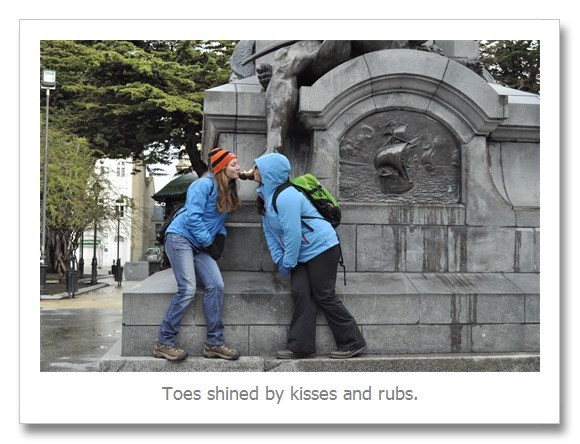 Legend has it that if you kiss the foot of El Indio you will return safely to Punta Arenas. Tomorrow morning we set sail! 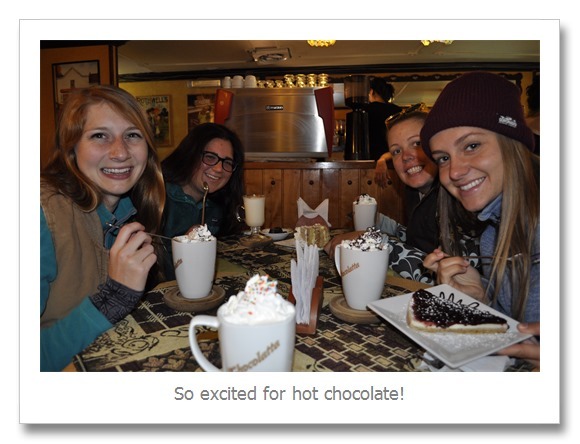 This entry was posted in 2015 Winter, Antarctica by Adrian. Bookmark the permalink.